Track your sales by location. Click on Locations on the left-side menu. Click on the Location for which you want to see the sales history. 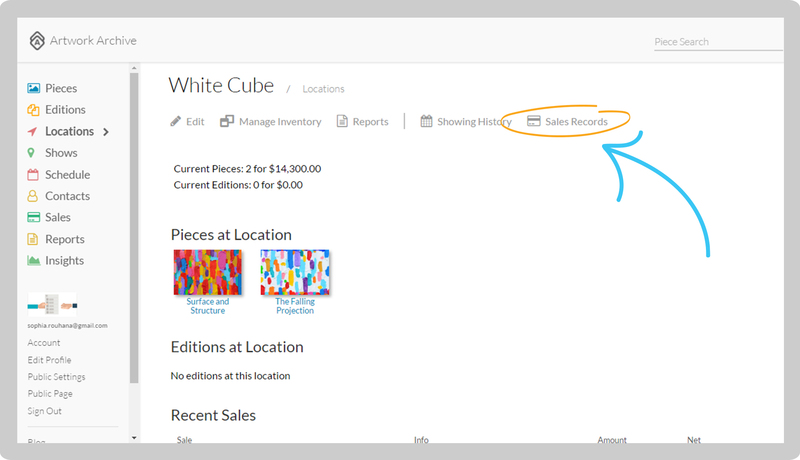 Click the gray Sales Records button. You’ll be able to see who the Piece was sold to, the Sale Date, and the Sale Price. NOTE: You must register the Sale of the Piece assigned to the Location before you can see a Sales Record.